It’s jacket weather, cider season, trail time. For a few glorious weeks, our western hamlets revel in their true colors. 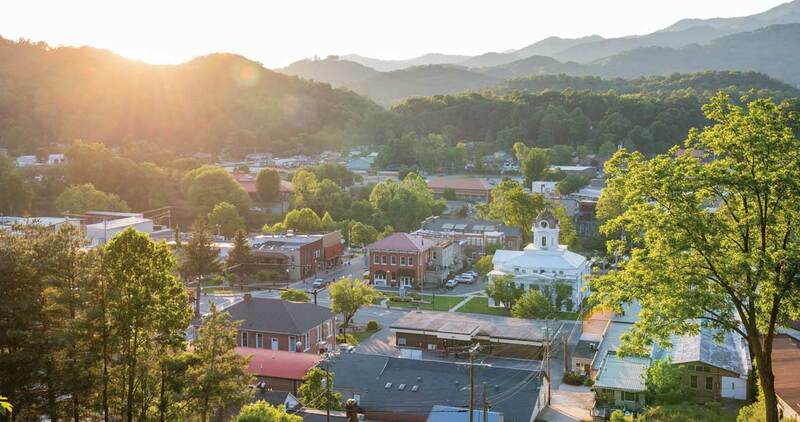 Boone makes no bones about being a college town. 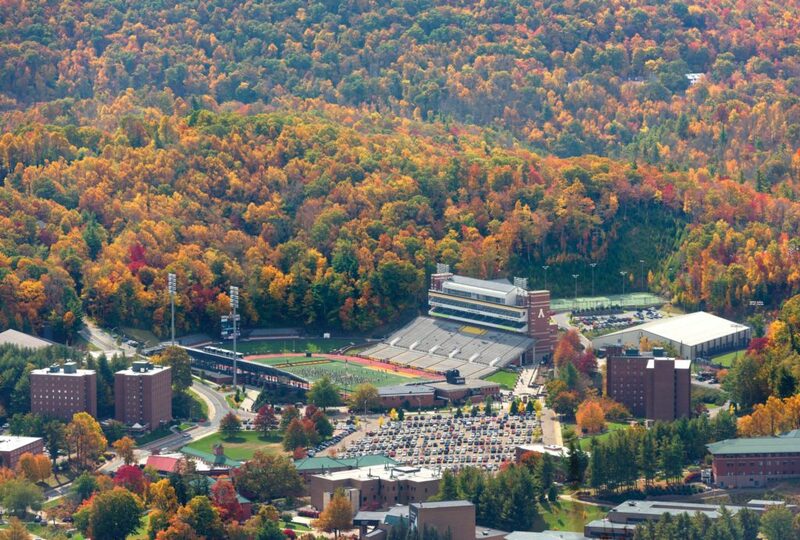 “Mountaineer” — the word — can be found on motel, restaurant, and clothing store signs, and “Mountaineers” — the students — can be found everywhere from hiking trails to ski slopes to bars to, of course, one of the 24,050 seats in Kidd Brewer Stadium, home to the football team with three consecutive national championship titles. Before the game, head out to Horn in the West, where the Watauga Farmers Market is open every Saturday through November to provide local meats, artisanal cheeses, and hardy plants. Not into football? Head to King Street, App’s heart-beating artery, and check out the boutiques, restaurants, and the Mast General Store, where you can still find Sugar Daddies, Dots, and Fireballs alongside flannel shirts and walking sticks. On one of those bluebird days that the mountains are known for, order a beer on an outdoor patio and look around downtown, and you’ll realize why some Mountaineers never leave Boone. Some say this charming mountain town’s famous white squirrels are easier to spot among the fallen gold and amber leaves. In any case, be on the lookout for a flash of white fur as you hike, bike, or drive through this woodsy gem in Transylvania County. Fuel up with burgers and shakes at the Cardinal Drive-In or Rocky’s Grill & Soda Shop before heading to Pisgah National Forest, where Looking Glass Falls and Sliding Rock shed their splashy summer greens for raucous hues in autumn. 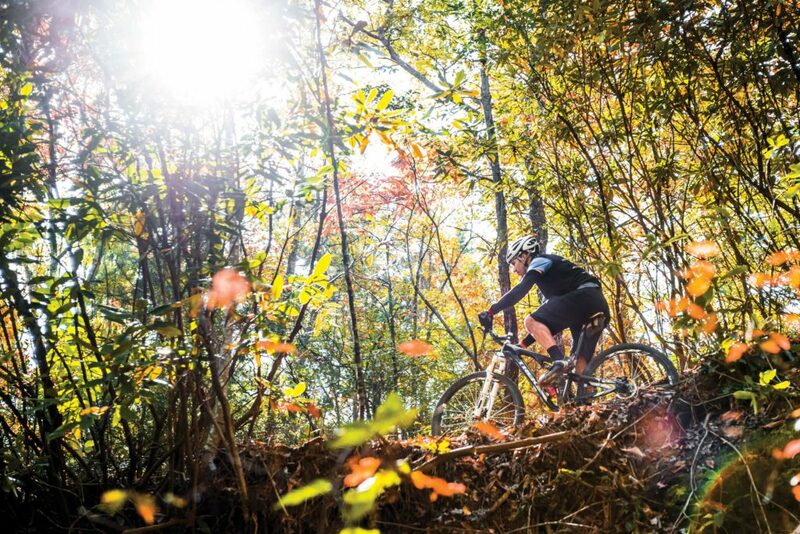 Farther up the scenic Pisgah Highway, at the historic Cradle of Forestry, learn to camp out the old-fashioned way or attend the annual forest festival. Back in town, the only music heard on the Brevard Music Center’s campus this time of year comes from the birds, but they’re the perfect accompaniment to a peaceful stroll along the woodland paths. There’s a chill blowing off the Tuckasegee River. Fog hangs over distant mountains, as if it’s the visible exhale of the forest’s green lungs. A man gets out of his car and stretches his arms overhead before walking to a Bryson City riverbank, fishing pole in hand. He approaches a ledge of crushed metal, salvaged automobiles that were stacked along the river in the 1950s and ’60s to prevent erosion. It was an experimental recycling practice used on waterways across the country, and Bryson City has what some experts consider to be the best standing example. Along sections of the Tuckasegee, banks are held in place by cars that look like they’ve been transplanted from a classic drive-in movie theater. Chrome fins and side-view mirrors point downstream. The fisherman steps onto the hood of a rusty sedan and casts his line. Almost immediately, it’s taut. With nearly a single motion, he slips a silver trout into the bag slung over his shoulder. The Tennessee Valley Authority altered the Tuckasegee when it built the dam that created Fontana Lake in the 1940s. Many communities in Swain County were forced to move before the area was flooded. Hundreds of the displaced moved to Bryson City. The town of roughly 1,400 year-round residents has a long memory of a history swallowed by water, but there’s been a growing interest in what the currents of the Tuckasegee might bring to Bryson City’s new generation. Dale Collins is watching the fisherman from a boat he purchased soon after he and a partner opened the Tuckaseegee Fly Shop. Theirs is the first brick-and-mortar fishing outfitter to serve downtown Bryson City in more than a decade. “Fishing is a way of life, part of Appalachian culture,” Dale says. 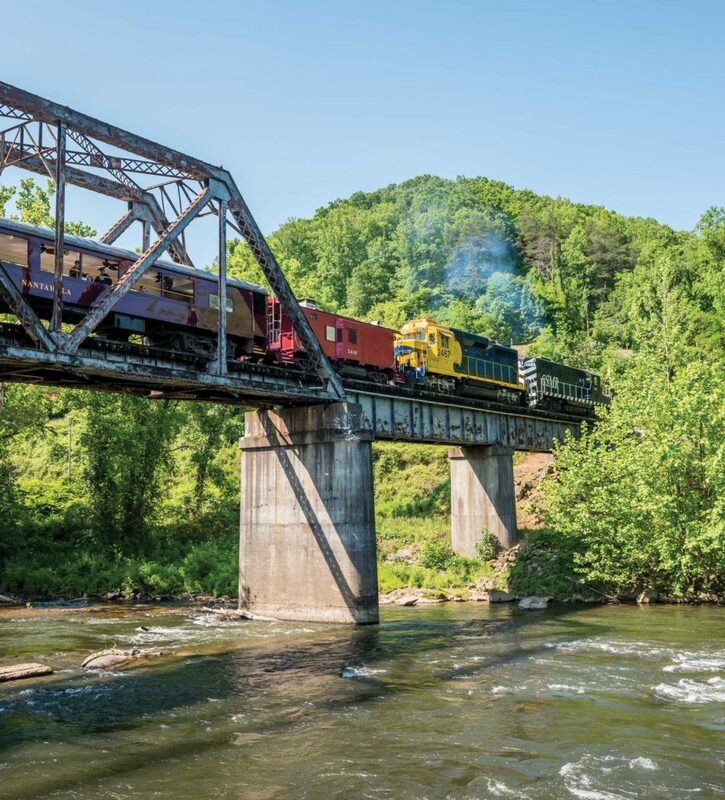 Bryson City is a haven for people who, in an increasingly distracted world, yearn to connect. As locals Ben King and Brett Hackshaw cross a bridge over the Tuckasegee, three of their friends appear below, standing on paddleboards. For a few minutes, there are men leaning over the flowerboxes that line the bridge, and men looking up from the water. It’s the Bryson City version of neighbors chatting over a white picket fence. Eris Ball is touring downtown Elkin’s abandoned buildings. Like many small downtowns, Elkin experienced an exodus in recent decades. But here, the space left behind has become a canvas. As part of her public art project, Aesthetic Installations, Ball took neglected public spaces and made them feel intimate again. Ball left Elkin, a small town with a population of about 4,000, after high school to pursue a corporate career, but she returned to raise her family. She was in Elkin when the town’s most visible icon — the Hugh Chatham Memorial Bridge, circa 1931 — was torn down due to safety concerns. After the bridge’s 2010 demolition, Ball, like many Elkin residents, made a pilgrimage to the site to collect debris. She gathered small chunks of concrete and slender pieces of rebar. The materials provided fodder for her first installation, a window dressing of rubble displayed in apothecary jars. She paired them with an old typewriter. The display seemed to say: History has been written. Where will Elkin go from here? These days, Elkin not only has a thriving art scene, it’s also at the heart of North Carolina wine country. 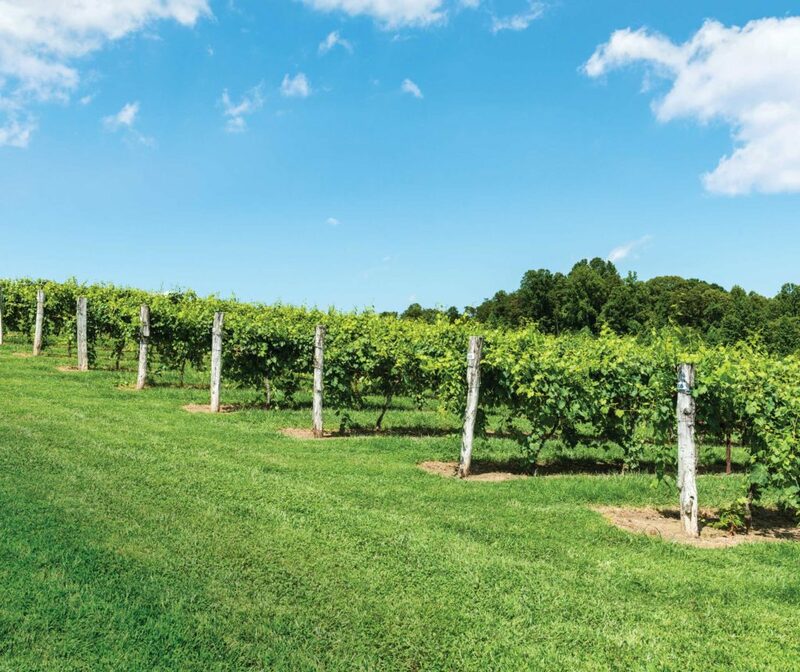 In 2003, the area surrounding Elkin, and all of Surry County, was officially designated an American Viticultural Area — North Carolina’s first — spurring the growth of vineyards, wineries, and tourism in the Yadkin Valley Wine Region. Today, this dynamic little town is aging like a fine wine. A couple is walking down the sidewalk when they come upon two South American red foot tortoises, steadily splashing at the side of a blue plastic wading pool. The woman stops. “Oh, wow!” she says. “John, come look at this!” John circles back, and for about 30 seconds, they both just stare at the tortoises. “You can pet them,” says the animals’ handler. The woman’s face lights up. This little moment, in this small town, was totally unexpected. Subtle clues help you comprehend just how popular Hendersonville has become: Florida, Georgia, and Pennsylvania license plates are easy to spot. Renovated lofts on top of decades-old storefronts are commanding huge prices. 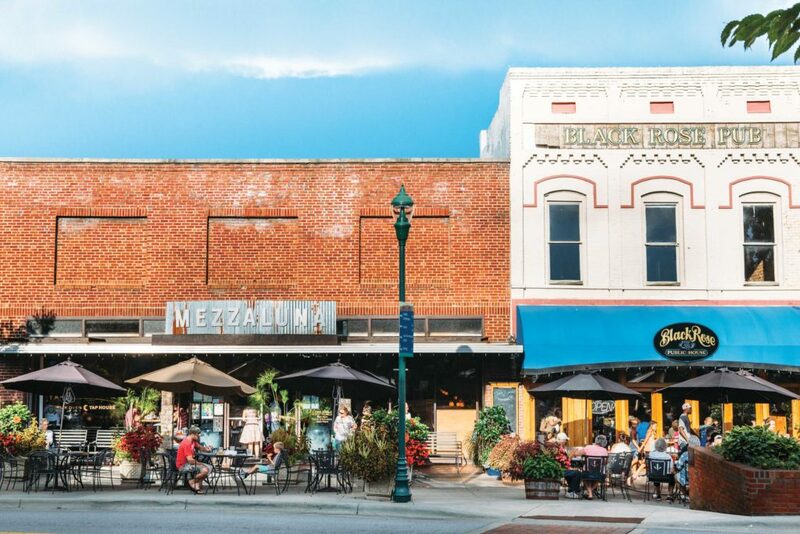 And yet, enough pieces of small-town charm still thrive, proving that Hendersonville, at its core, is still a real place, not a movie set built for tourists. The soul is still intact. Ask people why they’re here, and they’ll give you broad strokes or clichéd specifics: The food. The shops. The setting. The lack of crowds. The cool mountain air. A lot of Floridians have second homes up here thanks to short, cheap flights to Asheville. Beth Carden, executive director of the Henderson County Tourism Authority starts ticking off bullet points: Hendersonville is one of the smallest towns in the United States with a paid symphony. Thirty restaurants line Main Street, and none are chains. Three Coca-Cola murals are painted on the brick sides of buildings. Bear statues are scattered downtown. The Flat Rock Playhouse (the State Theatre of North Carolina) and the Carl Sandburg Home are nearby. Carden talks as she drives out of town on a winding road that steadily climbs through the woods toward Jump Off Rock, a boulder next to a small parking lot that offers breathtaking views of four states. Hendersonville keeps growing, changing. And yet, it remains unspoiled. Today, it’s a modern mountain town. Hickory’s identity doesn’t announce itself. 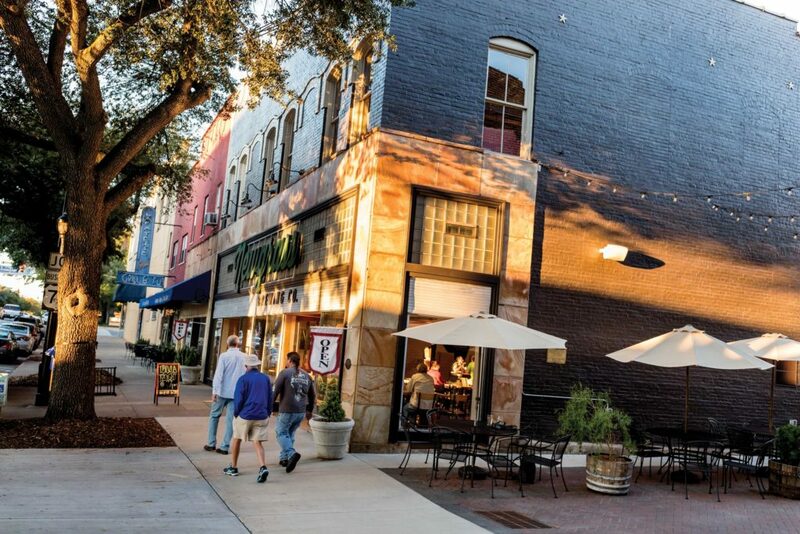 Spend some time there — peruse the shops on Union Square, walk the elegant, oak-lined avenues past impeccably restored Victorians in the Claremont neighborhood, encounter the old mill buildings converted into mixed-use complexes complete with brewpubs — and you still struggle to find its handle. There’s a lot here for a town of just more than 40,000. There’s a symphony, art and nature museums, a good park system — yet few outside of Hickory seem to know about these things. Why is that? What’s the heart of this place? Where does it really live? You have to pull Hickory open like a drawer to see what’s in there. 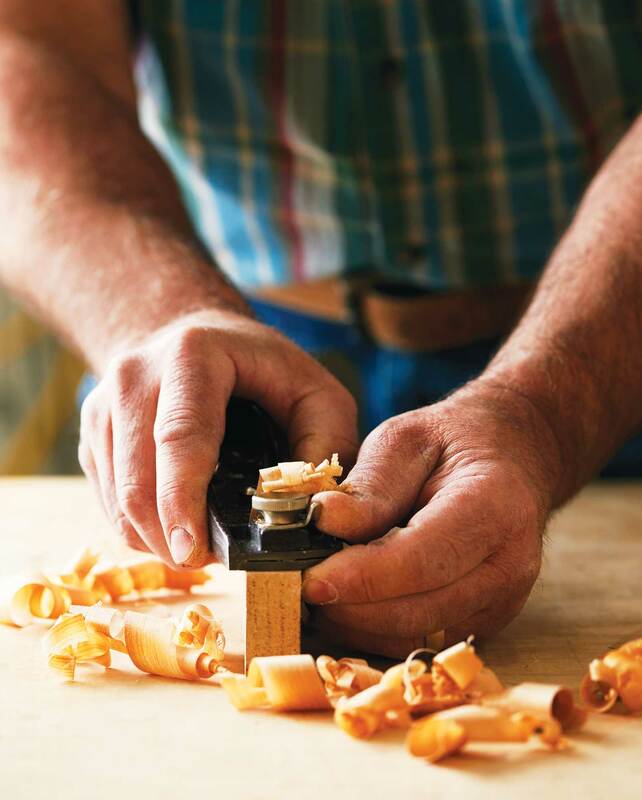 Hickory is a place, on the map and in its soul, where people make things out of wood. That doesn’t make it unique, as High Point and Burlington residents will surely tell you, but few places anywhere are built on working with wood for a living the way Hickory is. The people who settled this area in the 18th century built their lives by applying tool to tree. For nearly a century, the people of Hickory worked in factories, building ottomans and armoires and rockers from native Piedmont hardwoods. Then, over the course of a decade, thousands of jobs went away. The decline left people trying to pull their livelihoods together from the available materials, carving, and shaping them into something that looks nice and, above all, works. These days, life is crafted more at the small-shop level than ever before. When the jobs left, workers had to find other ways to use their skills and make money, and plenty of them went the independent, custom-built route, on their own. Wood can be hard. But it bends, submits to the right pressure applied firmly and precisely. It can adapt to new circumstances, new functions. If you’re smart and put in the hours, you can build almost anything you want. Main Street in Highlands is wide, with brick sidewalks and bustling storefronts. The people here are dressed in Aspen chic. Their hair is styled. The sunglasses look sharp. The shopping bags are full. It is alive and bustling in a cosmopolitan way, even though its official population is less than 1,000. 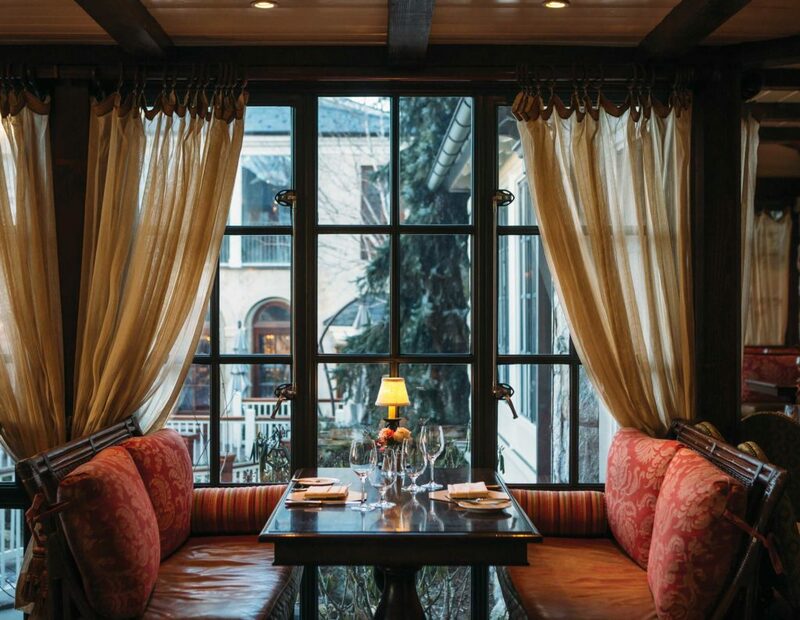 And yet, this tiny town has five restaurants that have been honored by Wine Spectator. Five! Three of them, Wolfgang’s, Paoletti, and Madison’s, all sit on the same block downtown. Madison’s, in particular, inhabits a wing of the Old Edwards Inn, a brick and stone relaxation compound on Fourth and Main. Condé Nast Traveler readers voted the spa here the best in the country. Out on the edges of town are its country clubs. The golf here is so legendary that Bobby Jones himself honed his game in 1930 at the Highlands Country Club. Not far from the center of Highlands is a trail that leads to Sunset Rock. It’s only a 10-minute hike, but ends at the perfect leaf-peeping overlook of town. At 4,118 feet above sea level, Highlands is the second-highest town east of the Mississippi. It’s a place that’s used to being on top. The town can’t get any bigger — it’s squeezed on all sides by the Nantahala National Forest. And it’s also missing the strip malls, fast food, and car lots that frequently pop up in small towns. But in a way, it’s not missing a thing. It’s not what Highlands has, it’s what it doesn’t have that makes it special. If I could sing a love song to Morganton, I’d take back my breath from that view of Table Rock that rises behind the first glimpse of town and use it in tribute to the granite cliff, freckled green with scrub trees against the signature blue of the ridge. A song for Morganton would need the highs and lows of a mountain profile, would need a bit of longing for the way the trail used to look, how the loose stones slid under our feet. I’d try to harmonize with the saws of woodworkers and furniture makers that marked a manufacturing heyday. And I’d hum along with the knitting machines whose softer sounds took up the tune inside vast factories. I’d close the first verse, time traveling in that singular way a hike from the mountain’s top allows, with a chorus of Morganton’s newest fans, the ones who moved in after the bankrupt mill became the city’s centerpiece project, a high-end residential and commercial space joined to City Hall by a brick courtyard. And Morganton, with its two craft breweries in a town of some 16,700 residents, demands a drinking song, too. An anthem to Morganton might best be sung from the lawn of the 180-year-old county courthouse, beneath a gold-painted dome that rivals Table Rock for the grandest crest on the horizon. I’d want banjos, the kind you’ll occasionally hear at Friday night concerts on this hilltop square. For percussion, I’d want the clink of simple clay pottery shards. And for its final notes, a love song to Morganton would have to end with a promise to return. On the sidewalk outside the Shelby Café, where the lunch customers fill up on livermush, chicken tenders, and home fries, a retired engineer named Sam Havens strums his guitar. He sings a bluesy number, a Folgers coffee container at his feet to collect tips. “I do this when I need a little extra spending cash,” he says with a laugh. The sound of his acoustic guitar drifts like a breeze beneath the oaks along South Lafayette Street. If string music doesn’t take center stage in the narrative of Shelby, it’s at least in the background, providing the soundtrack, much like this lone strummer’s Fender six-string at lunch hour. Maybe it’s the red clay hills and kudzu thickets — or all the colorful, oversize Don Gibson records posted along the streets — but Shelby puts you in the mood to stop what you’re doing and listen to some good picking. Two giants in bluegrass and country music hailed from Cleveland County: singer-songwriter Don Gibson, and banjo genius Earl Scruggs. Over the past decade, Shelby has created shrines to both, turning a 1939 cinema into the Don Gibson Theatre and the old 1907 Cleveland County Courthouse into the Earl Scruggs Center. In 2009, the Don Gibson Theatre opened as an intimate 400-seat concert venue. Executive Director Stan Lowery says the theater attracts about 30 national acts a year. Vince Gill, Marty Stuart, Ricky Skaggs, the Bellamy Brothers, David Allan Coe, John Oates (of Hall & Oates fame), and even soft-rocker Richard Marx have all put on shows here. In 2014, the Earl Scruggs Center opened. The once-neglected courthouse had been restored to its former glory; the stately structure is the centerpiece of Shelby. Inside, interactive exhibits tell the story of Earl Scruggs — and of the music, history, and culture of the region. It’s attracted visitors from all over the country and beyond. Indeed, Shelby has become a destination. The colors pop, bursting out of a barn that’s faded to gray after so many harvest moons. Three large, diamond-shaped paintings, each on a wooden panel, add a touch of wow! to the earth tones on the outskirts of West Jefferson. One diamond is filled with a big yellow flower. Another painting depicts the sun, rising over a pointy green hill. The third radiates with triangles and squares, a pattern called the Carpenter’s Wheel, colored in greens and reds and yellows. Drive the country roads around West Jefferson, among the many Christmas tree farms and rolling pastures and wooded coves, and you’ll see haylofts dabbed with color, brightening even the gloomiest day. Downtown, you’ll come across not only the occasional quilt square on a building wall, but also more than a dozen murals. West Jefferson has a distinctly artsy vibe — home to dozens of galleries and craft shops — but it’s still small and unvarnished enough for mud-on-the-fenders pickup trucks to rumble by. Here, you can sip espresso or stock up on Mason jars. You can do a wine tasting or get your banjo fixed or get a new pair of work boots. 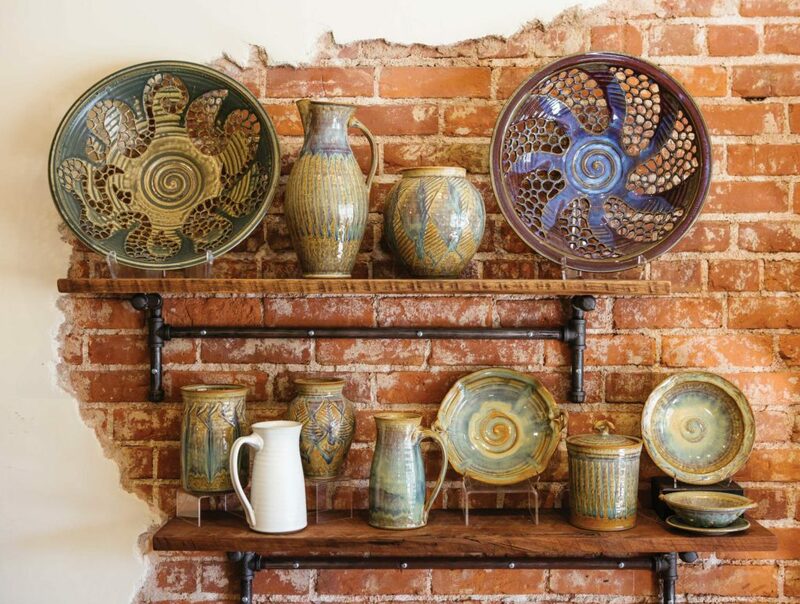 Art has brought out the color in West Jefferson, making its components — longtime businesses to newly opened boutiques — shine a little brighter. Before long, you’ll see the art in every pursuit here, whether it’s growing Fraser firs or separating curds from whey. That creative, let’s-try-this impulse infuses so much of West Jefferson, from crafting a Belgian witbier at Boondocks Brewing to working with oil sticks and pastels at the Florence Thomas Art School. It’s all part of the patchwork, the texture, of this town. 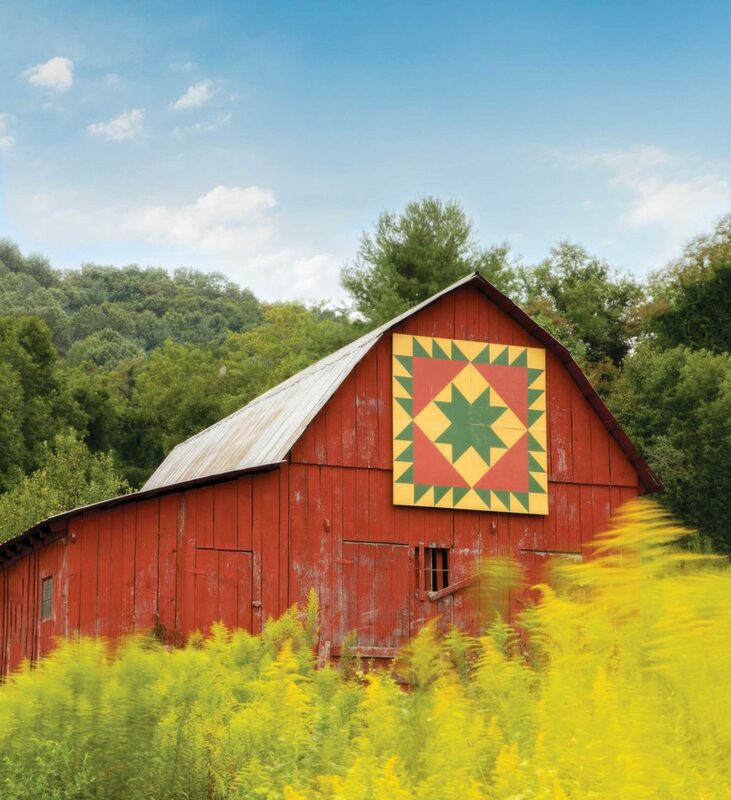 And just like a quilt, West Jefferson has a crafty way of wrapping you up, making you feel comfortable, and putting you in no hurry to leave.